At the very last minute, 200 nations agreed to extend the Kyoto Protocol to 2020 while a successor to the legally binding agreement on curbing greenhouse gas emissions is re-worded by 2015. 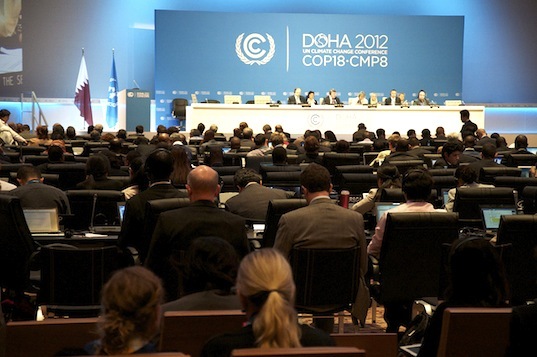 While many attendants of the UN climate talks in Doha believed the meeting to be a colossal failure, the addition of a Loss and Damage clause calling for developed nations to stockpile up to $10 billion per year up to 2020 is seen by some as a watershed moment for climate talks. 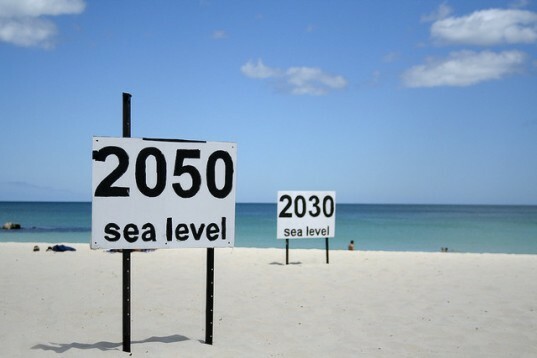 As reports poured in that global temperatures are on track to rise by at least four degrees Celsius in the coming century, the COP18 conversation switched from prevention to adaptation, and many developing countries place the responsibility for dealing with this squarely on the shoulders of developed nations responsible for emitting the bulk of greenhouse gas emissions. But the EU, US, China and other culprits were reluctant to explicitly accept responsibility. Until now. “The big players, the US, EU and China accepted the agreement with varying degrees of reservation,” the BBC reports. But the representative of the small island states that are likely to be swallowed up by rising seas is adamant that the agreement is insufficient to address their problems. “There is no new finance (for adapting to climate change and getting clean energy) – only promises that something might materialise in the future. Those who are obstructive need to talk not about how their people will live, but whether our people will live,” he said, the BBC reports. The conference was close to ending in colossal failure as Russia, Ukraine and Belarus were insisting on being able to claim carbon credits to compensate for their earlier failed industries but conference chair Abdullah bin Hamad al-Attiyah pushed through the meeting after being criticized for being too soft.